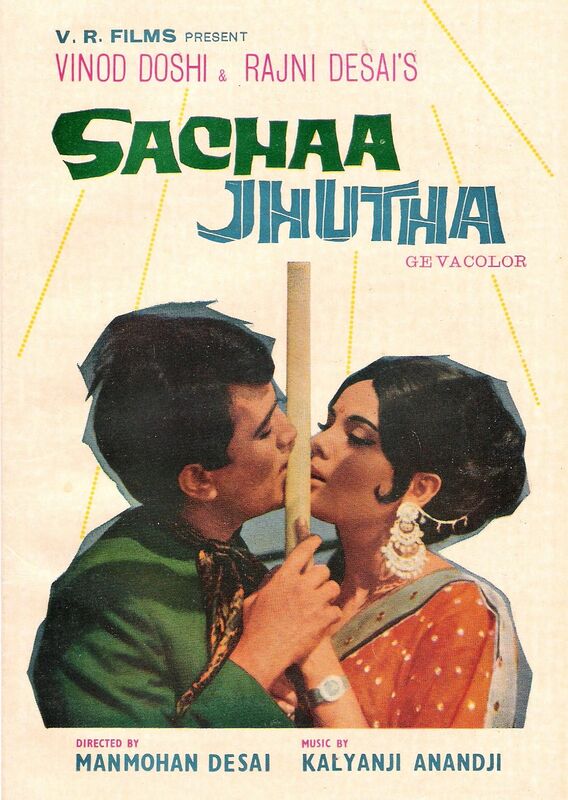 Written by Jeevanprabha M Desai and directed by her husband (Manmohan Desai), Sachaa Jhutha is a neat little tale of mistaken identity, thieves and honest men, and proves that dogs are smarter than most people. 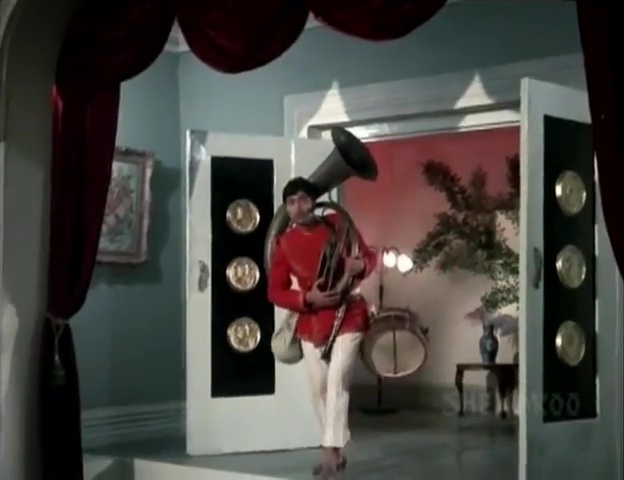 Simple village musician Bhola (Rajesh Khanna) leaves home to seek his fortune in Bombay. His sister Belu (Naaz) had an accident in her childhood and has needed crutches since. He wants to get her married and having any kind of disability means she is expected to come with a hefty dowry. 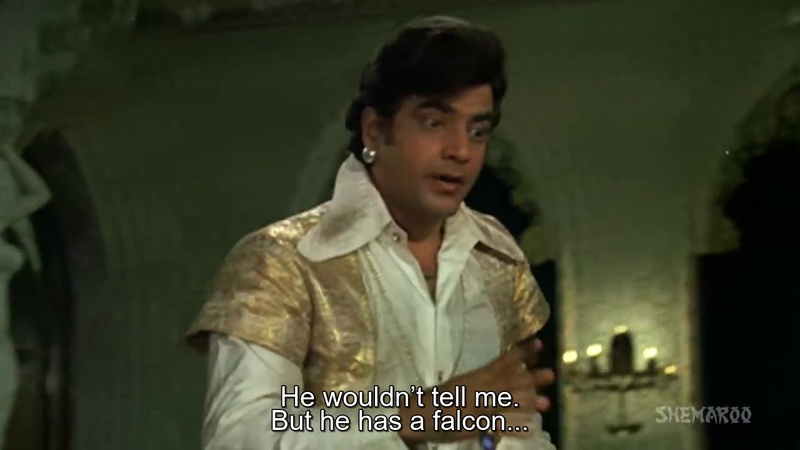 Through a series of unlikely but expected coincidences, he stumbles into a fancy masquerade party and the path of Ranjit Kumar (Rajesh Khanna) a cunning jewel thief. 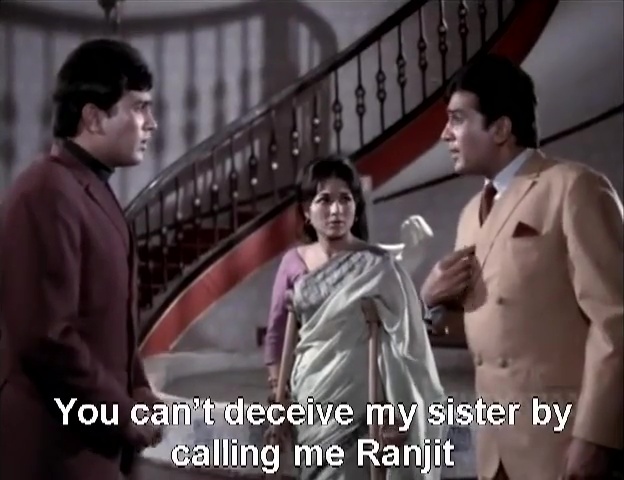 Ranjit sees the possibilities in having an exact duplicate of himself to parade around town so he dupes innocent to the point of being backward Bhola into perfecting his Ranjit act. 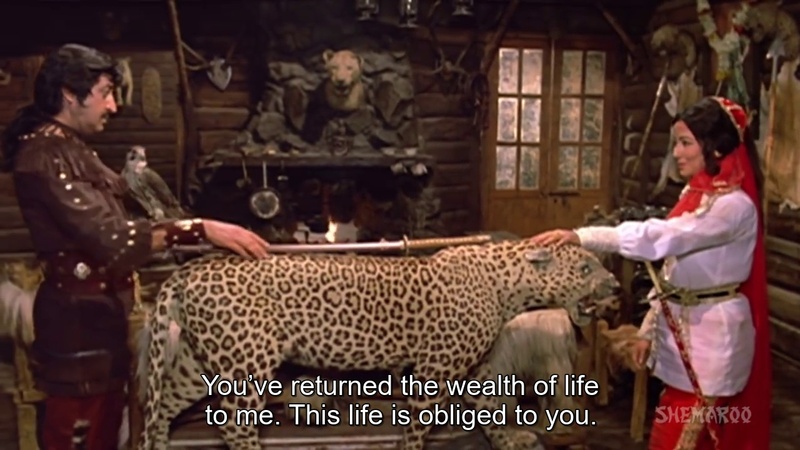 Ranjit gets his minxy girlfriend Ruby (Faryal) to keep a watchful eye on Bhola, give him deportment lessons, and keep him from discovering his new BFF is a thief. 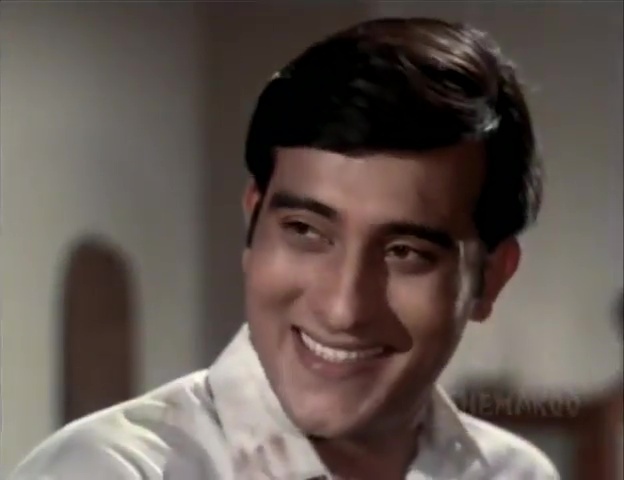 Inspector Pradhan (Vinod Khanna) is determined to put Ranjit in jail but he can’t get the evidence he needs. 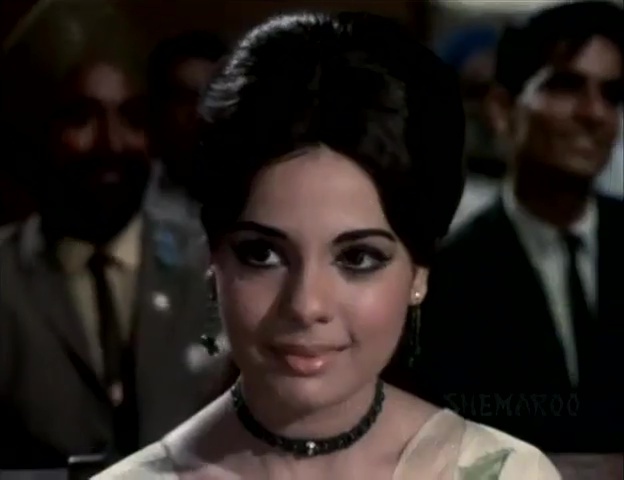 He coopts a lovely young policewoman, Lina (Mumtaz), into playing a diamond heiress called Rita. 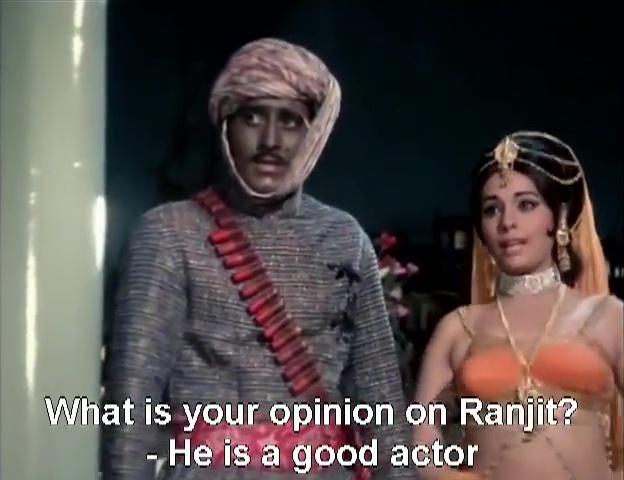 It is well known that Ranjit cannot resist a pretty face or a sparkly rock. 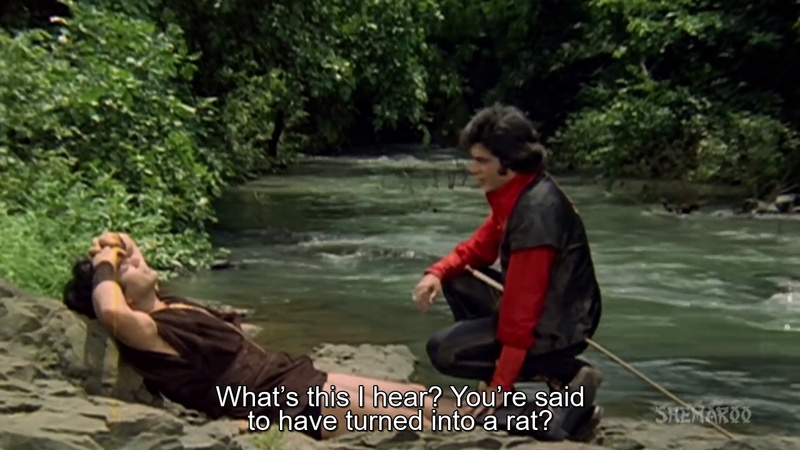 Bhola as Ranjit falls head over heels for Lina/Rita and his simplicity wins her over despite her misgivings. 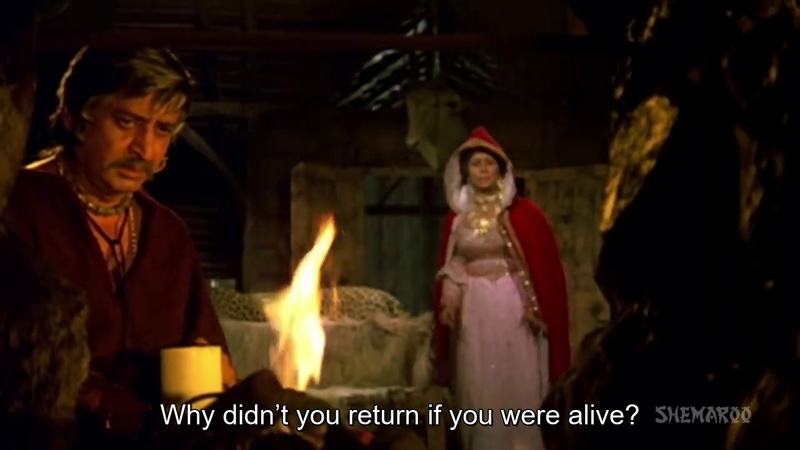 And then a flood devastates Belu’s village, killing her abusive stepmother too. 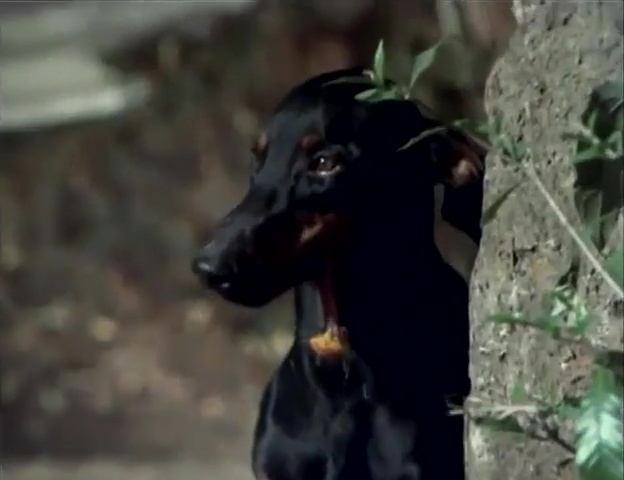 She comes to the city with little other than her love for Bhola, a Significant Song, and the super smart and faithful dog, Moti. 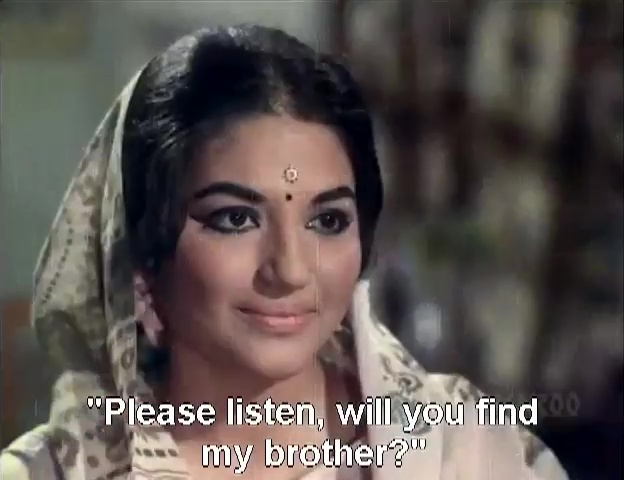 Will she find Bhola, or will she be found by Ranjit? What will become of these clueless bumpkins in the big city? Will Lina get her man? Will Inspector Pradhan get his? 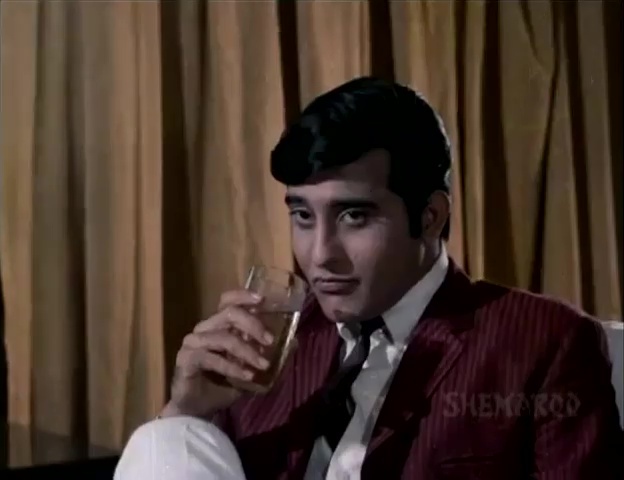 Rajesh Khanna is quite enjoyable as Ranjit. He is suave, a narcissist, and wears some very snazzy outfits. He is never conflicted about his life of crime, and thoroughly enjoys his lifestyle funded by ill-gotten gains. 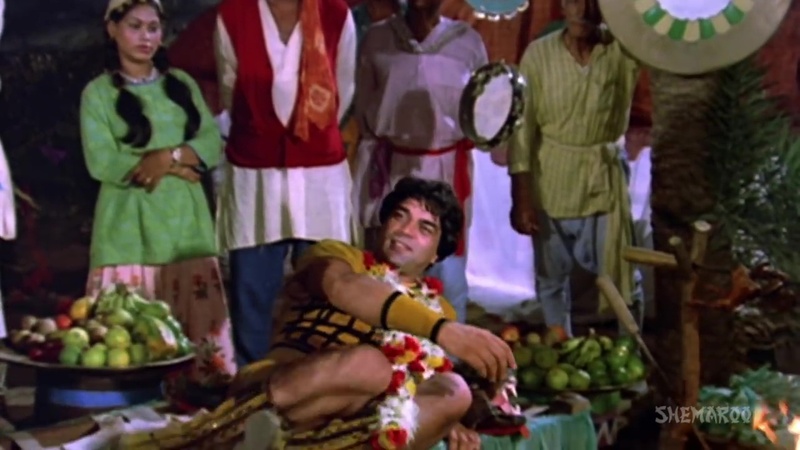 As Bhola he overacts like there’s no tomorrow, grimacing and spouting proverbs to show he is pure and innocent. 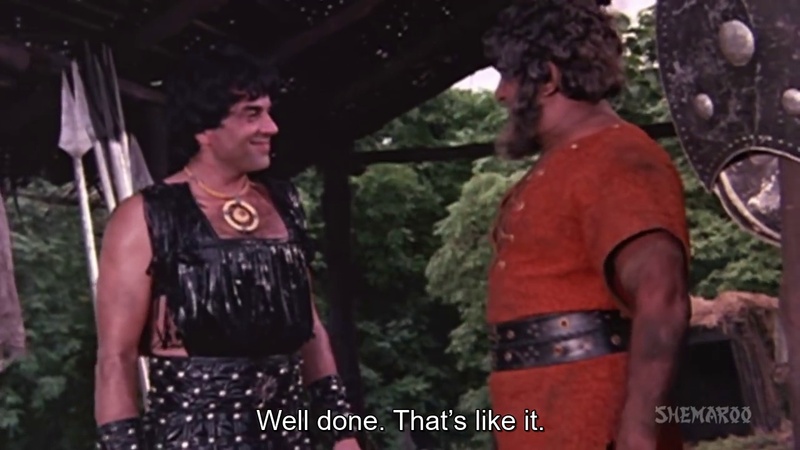 Bhola is a quick study though and it is amusing to see Ranjit getting a dose of his own medicine. 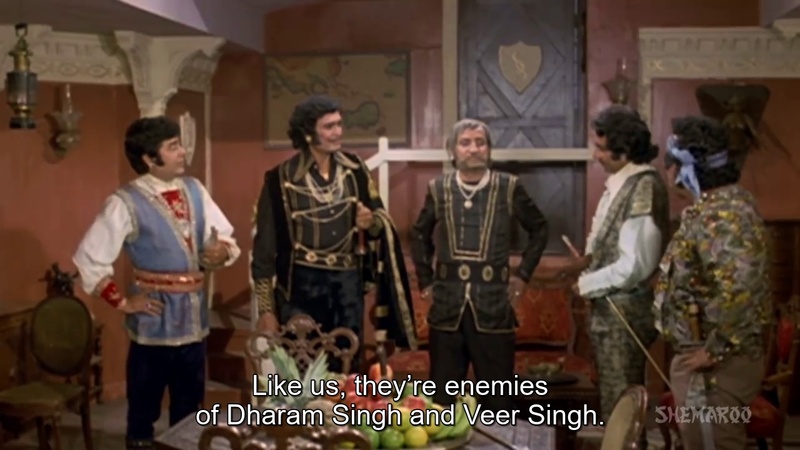 Ranjit is a traditional filmi evil mastermind and he loves a needlessly complex plan so there are many silly hijinks to enjoy including a secret lair, tunnels, mysterious drugs that paralyse, disguises, and a gang of suited and booted henchmen. 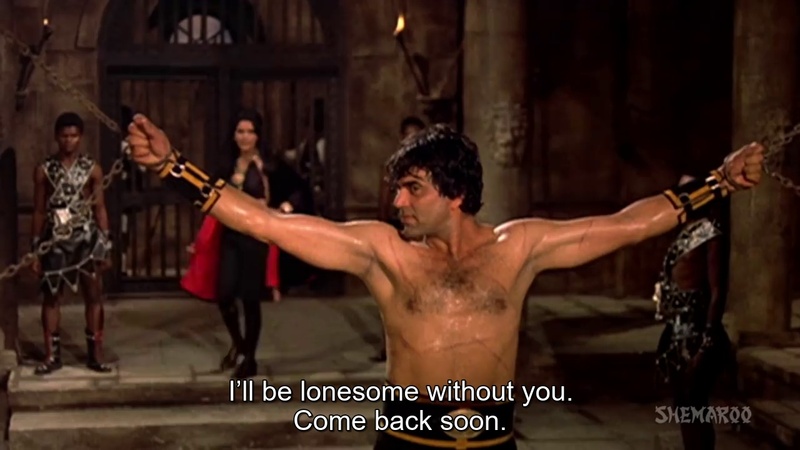 If you’ve ever wanted to see Rajesh Khanna fight a duel with himself, this is the film for you. 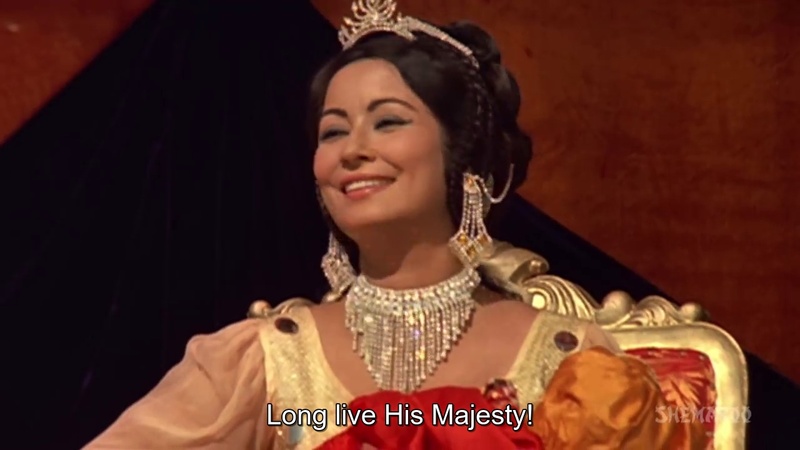 Mumtaz is gorgeous and bubbly as Lina/Rita. She seems like a competent young woman, and has a good head and a good heart. Question – were fancy chiffon sarees standard police issue? She is attracted to Bhola’s honesty and can’t reconcile her impression of him with her assignment of entrapping Ranjit the jewel thief. Lina doesn’t waste too much time sighing over her maybe potential slightly forbidden love, and just gets on with the job in the belief that the law will make her decision for her. She does get stuck with some silly “truth drug” shenanigans, but generally avoids the worst of the slapstick. 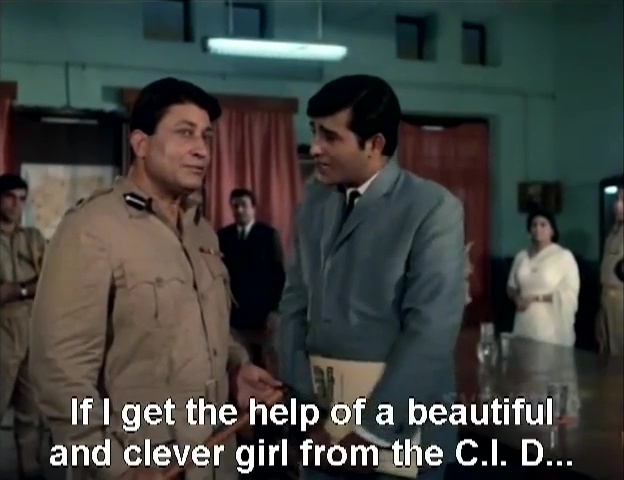 Vinod Khanna’s Inspector Pradhan is the driving force in the chase to get Ranjit. He is a little too good to be true. 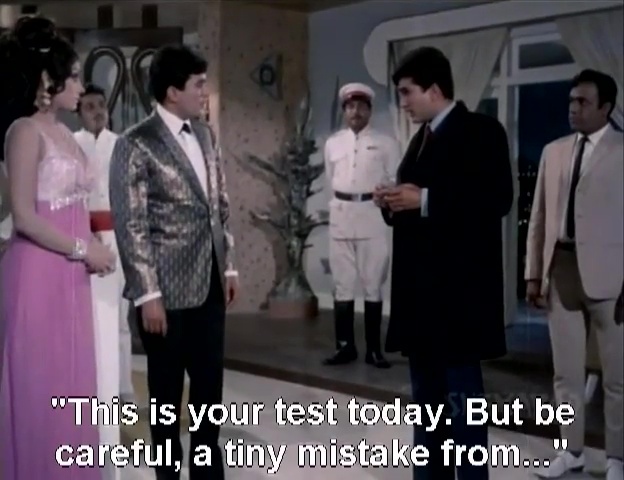 The perfect son to a doting mother, a genius police investigator, the golden boy. 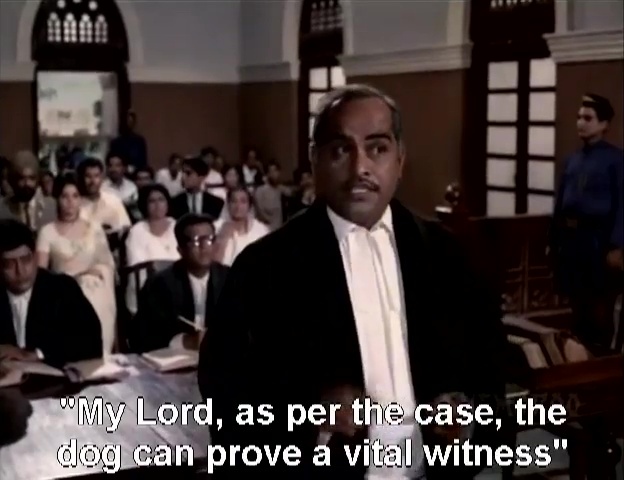 He has a strong sense of duty and what is right and he hates that Ranjit thumbs his nose at the law. 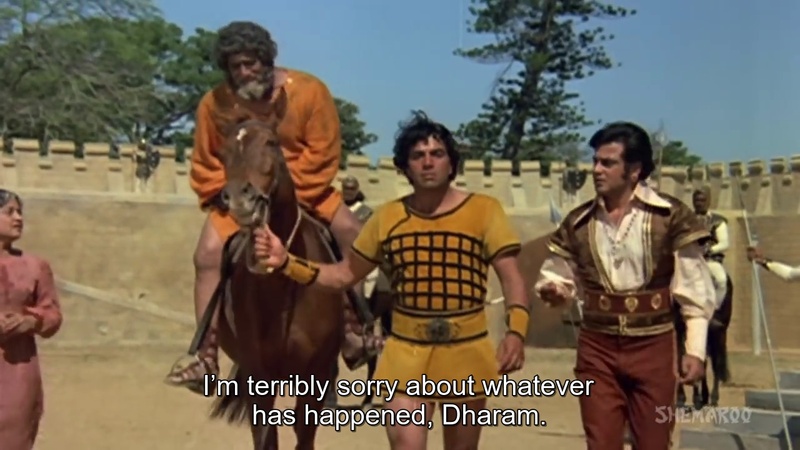 There is nothing very real or interesting about the character but Vinod Khanna plays Pradhan with just the right degree of straight faced pomposity to make it funny yet still vaguely believable. At first glance I expected to find Belu (Naaz) tiresome. But while people write Belu off as a cripple, and she herself would much rather not have a disability, she’s not completely passive. When a bunch of goons assaulted her she fought back with everything she had. When she came looking for her brother she made the most of the Desai coincidences that littered her path. Sure there was a lot of hobbling and crying but she isn’t pathetic, just overwhelmed. 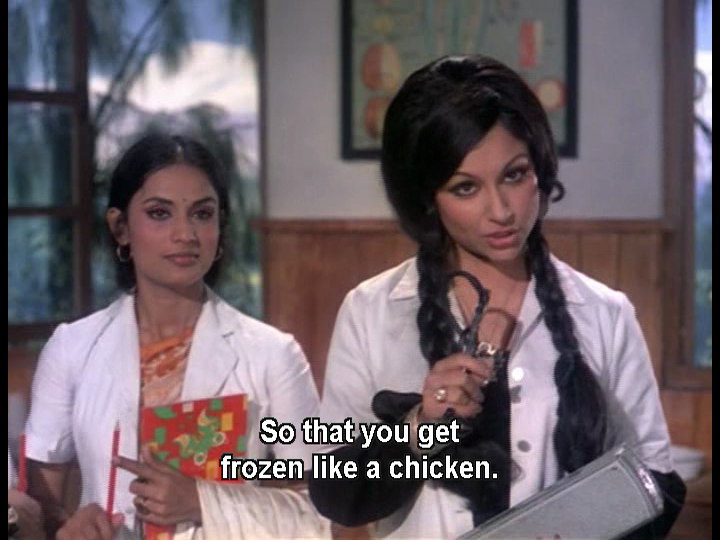 Naaz can handle the teary self-pity through to the more sparky repartee. 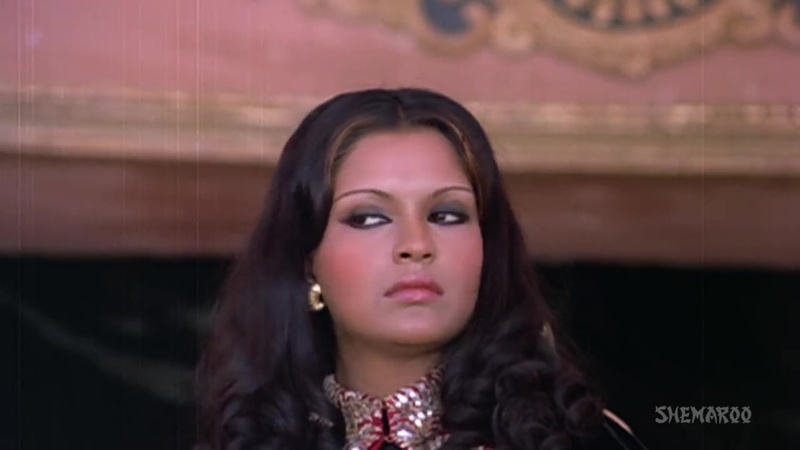 She has a gentle presence that played well opposite the more extrovert characters in the ensemble. 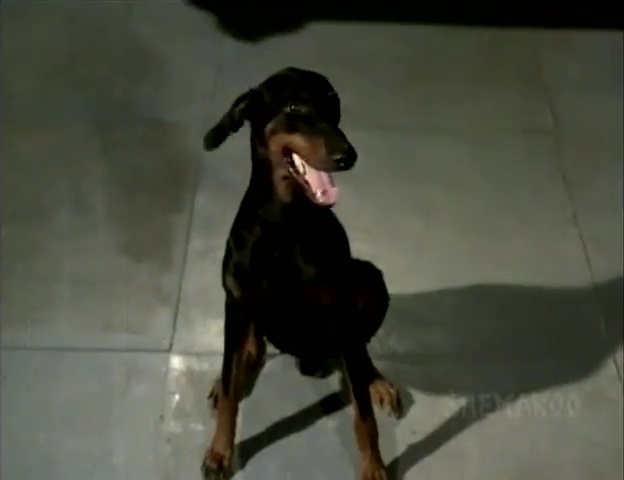 But the real star and the brains in the family is Moti (Rexy). 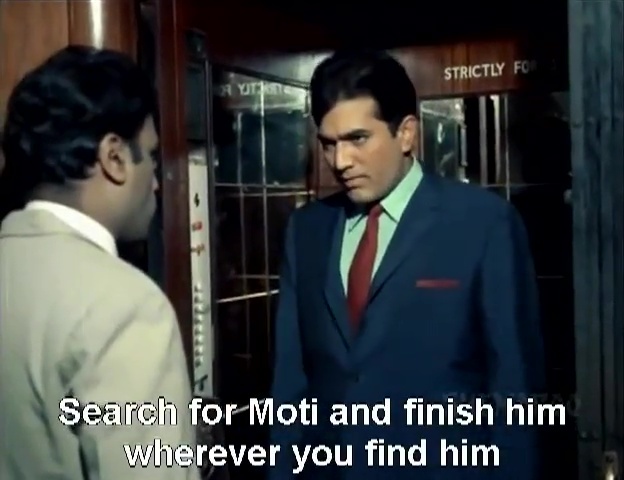 Moti protects Belu, fetches her crutches, fights off thugs, navigates Bombay traffic with heart stopping disregard for traffic lights, eludes gangs of armed assailants, and is generally a sound judge of what is going on. And when all else fails, trust Moti to sort the sheep from the goats. 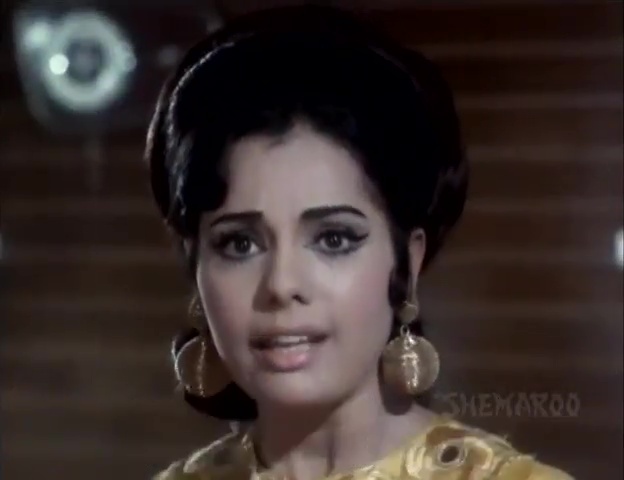 The Kalyanji-Anandji soundtrack gives Mumtaz some opportunity to dance, but the duets are tailored to Rajesh Khanna’s awkward posturing so I felt there was an opportunity missed. 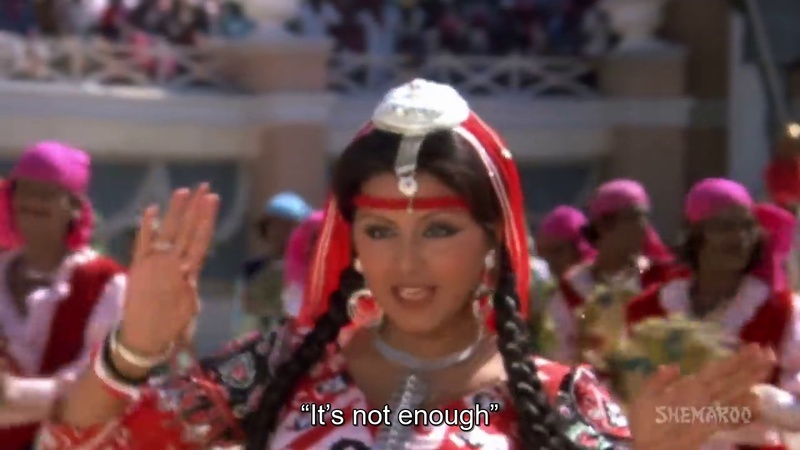 And what lunatic casts Faryal and doesn’t include a dance number for her? 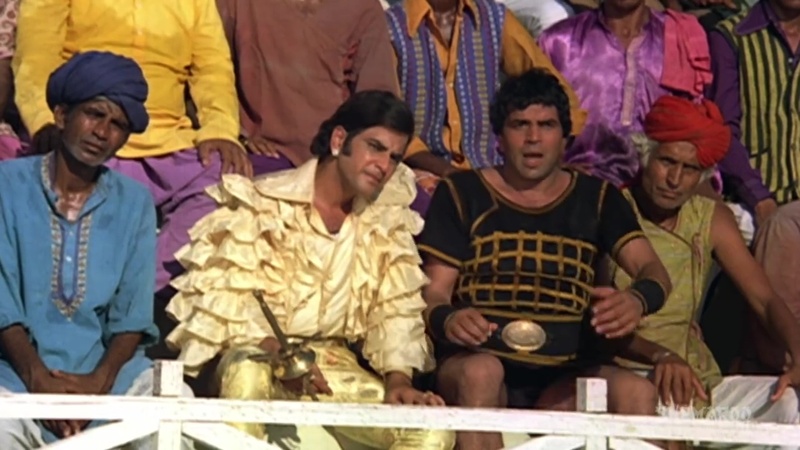 While the film is visually pleasing, it isn’t a blinged up special effects laden experience. The drama is generated by people, the confusion and near misses, the things we know that the characters don’t. It’s an undemanding and entertaining movie, stylish and fun. 3 ½ stars! There is a scene that gets me every time. 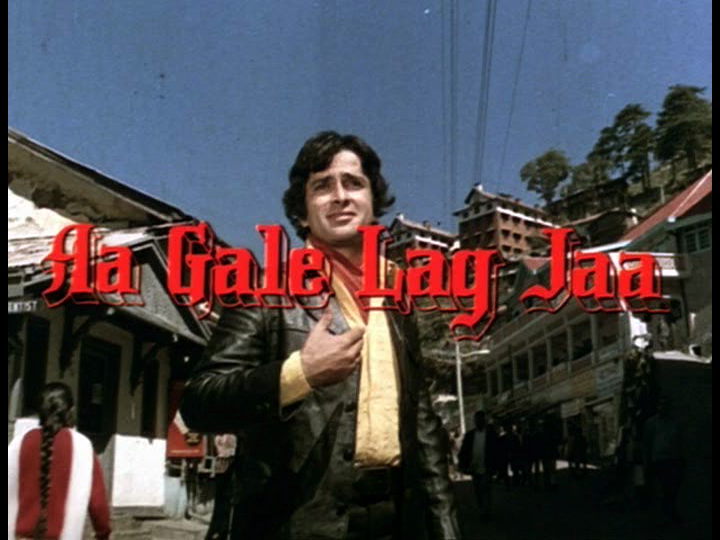 Shashi Kapoor heartbroken, on roller skates, in a white safari suit, playing the accordion and yodelling (thanks to Kishore Kumar and RD Burman) as he sweeps around an empty skating rink at night. It should be ridiculous and yet it’s strangely affecting. 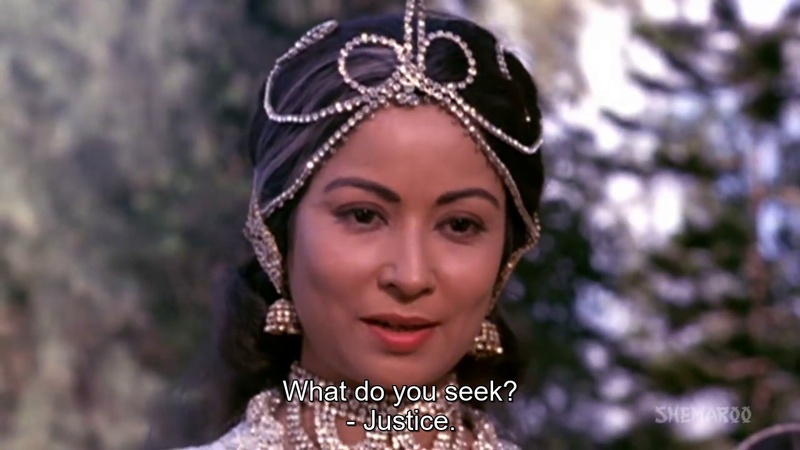 And that sums up my feelings for this fabulous Desai film. Aa Gale Lag Ja is convoluted, goes off the rails at the end and relies heavily on coincidences, but I find it beautiful and touching as well. 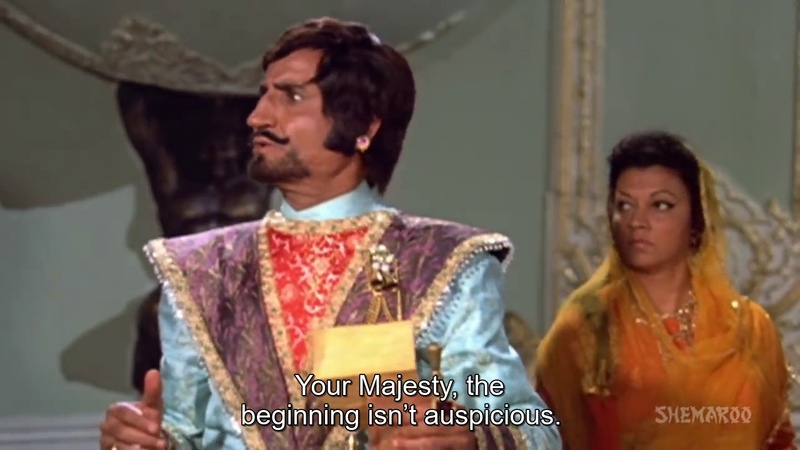 I recently re-watched it with the the excellent company of Beth and Ira, and couldn’t pass up the opportunity to revisit this masala classic for Kapoor Khazana. 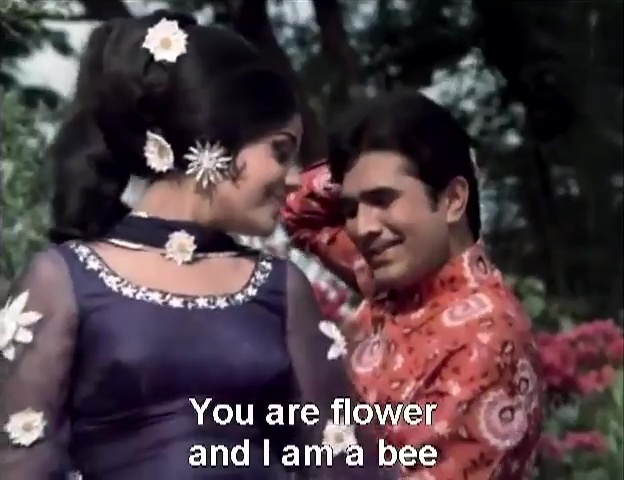 I love the leads, it has one of my all time favourite soundtracks (indeed, it changed my views on accordion solos), and the writing is far more interesting than I expected from a retro filmi romance. And they don’t waste time on building up to a song – they just go for it. 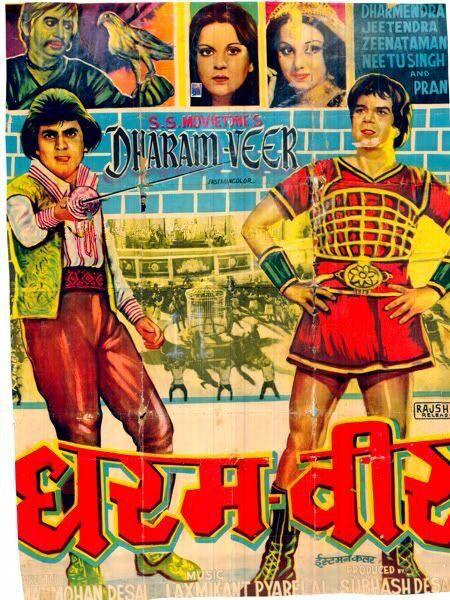 Shashi Kapoor is Prem, a poor but honest roller skating enthusiast. He lives up in the mountains so roller skating, as well as life, is very challenging. 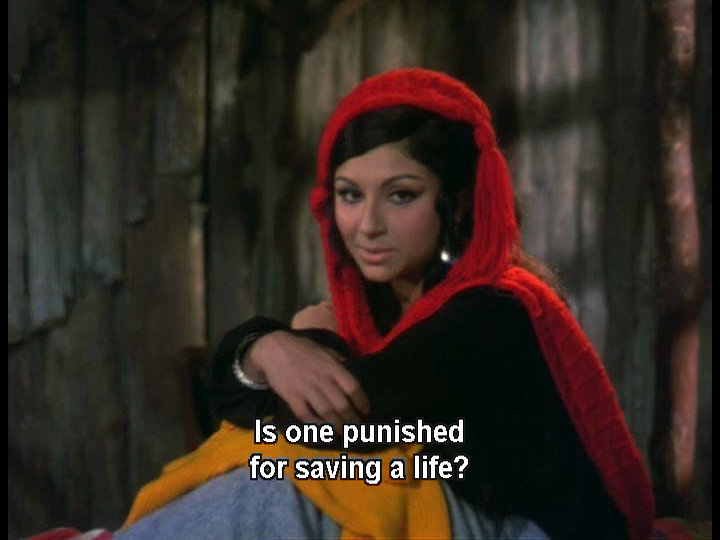 The beautiful Sharmila Tagore is Preeti, a minxy medical student. 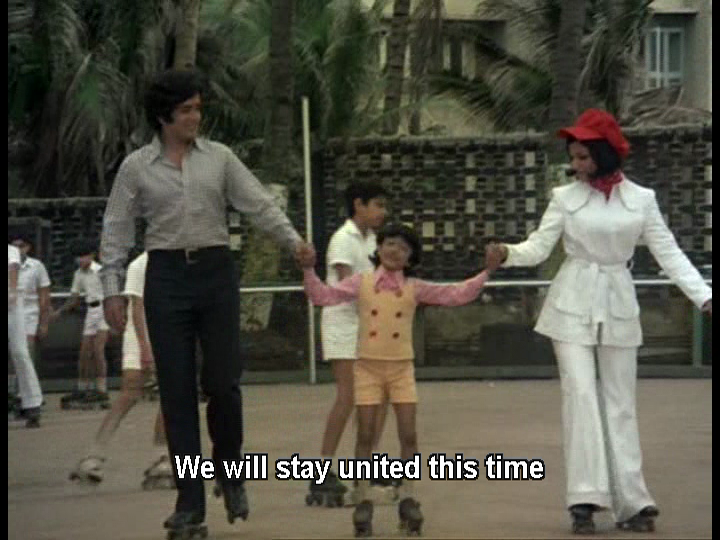 I appreciate Shashi’s wobbly attempts to skate. 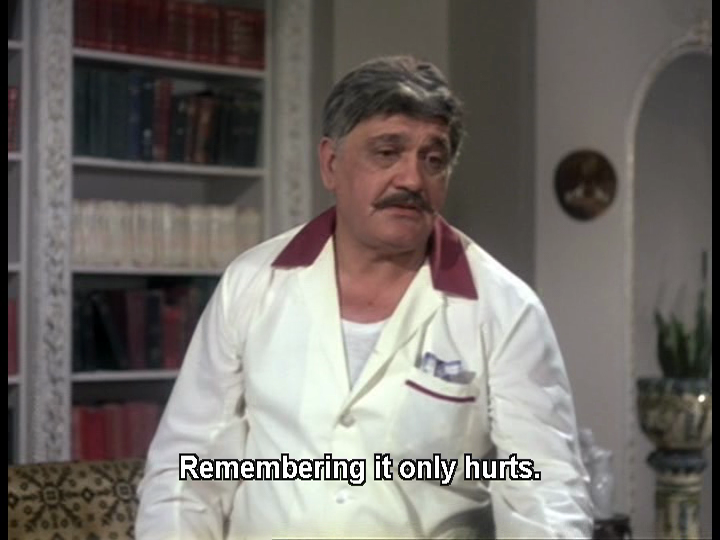 It lacks flair, but he is endearingly earnest. Sharmila is very good at fake skating and her pretend waterskiing in Evening in Paris was also excellent. I also applaud her efforts to look like she is gliding majestically under all that Spare Hair. The wig is bigger than she is! 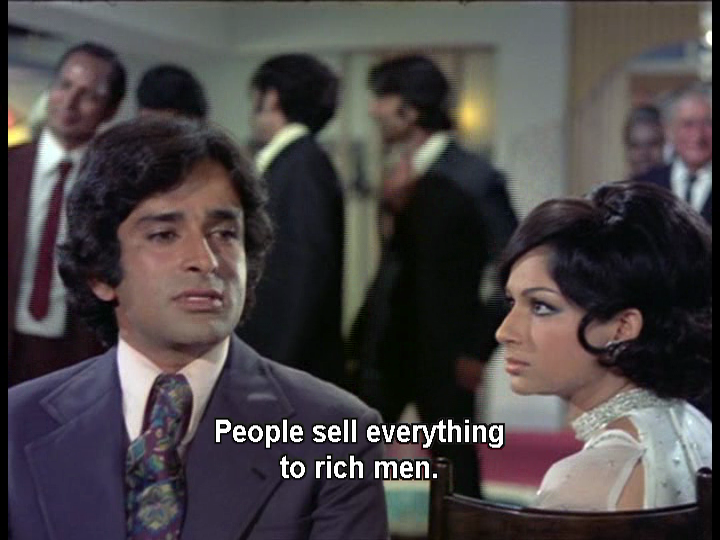 Prem is poor, Preeti is rich, they’re both good looking and there is no doubt about the results. 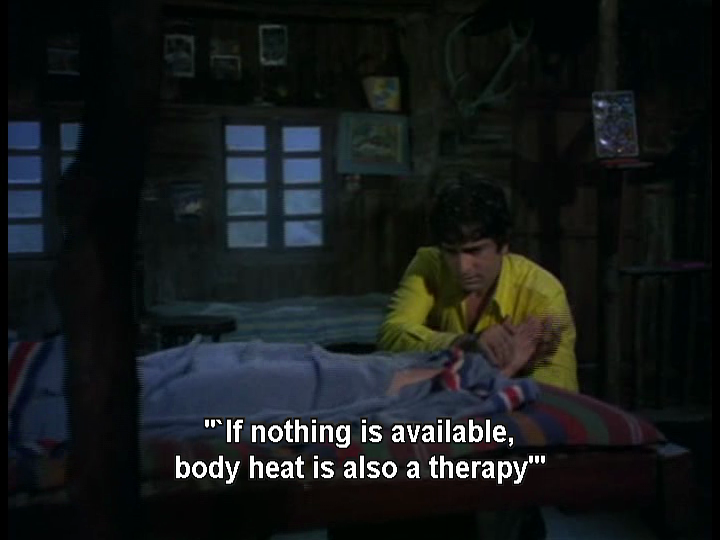 Especially after he sells himself to science for an afternoon so Preeti can test hypothermia treatments on this most willing of guinea pigs. After a song related mishap, the two spend a night fighting off hypothermia. What an amazing coincidence! 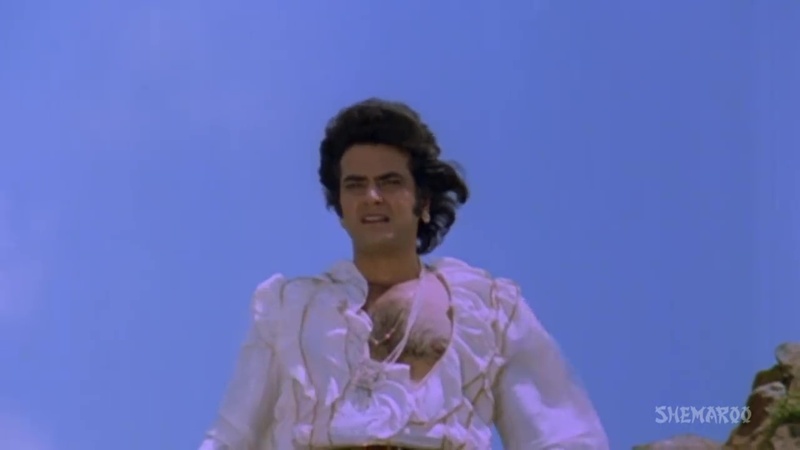 Given that Shashi’s innate hotness seems to dry out his clothes in no time flat, the ‘cure’ did raise some questions. 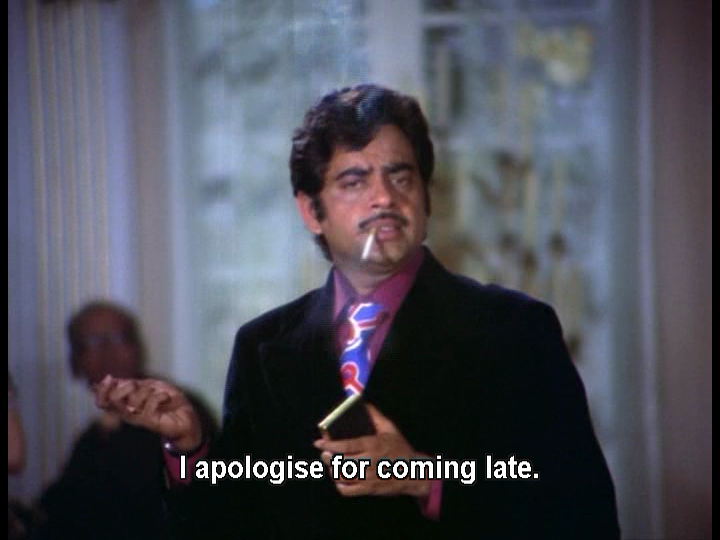 The youngsters want to marry but Preeti’s father Hirachand (Om Prakash) pulls a few swift moves to alienate the lovers. 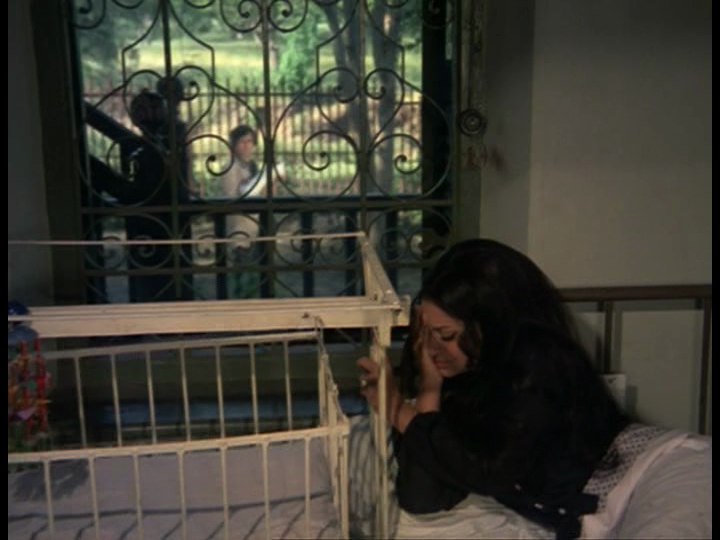 Preeti fell pregnant to Prem That Night and is sent to a sanatorium to have the child in secret. 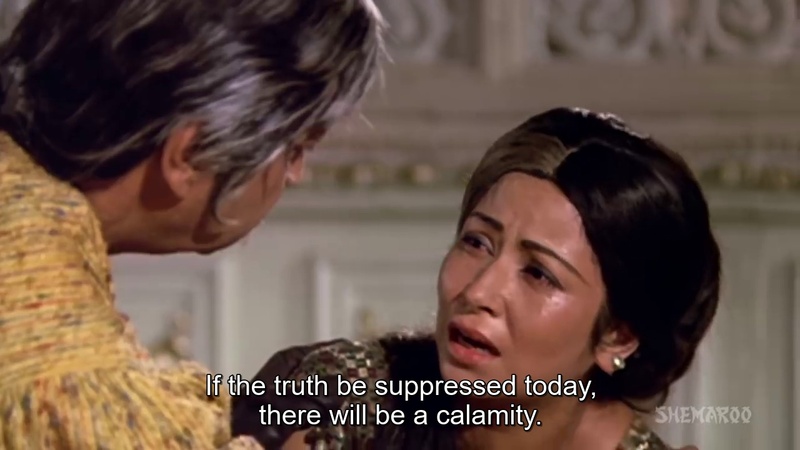 Hirachand and Prem’s ailing mother (Sulochana) play their parts in the drama and Preeti believes the child was stillborn. 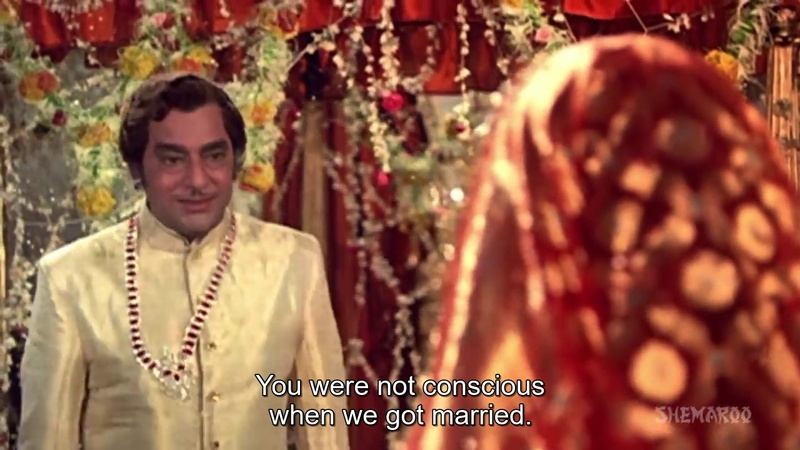 In a typically filmi twist, Shashi acquires his own son and loses his Ma. Everyone judges everyone else, and the misunderstandings send the protagonists off on their separate paths. 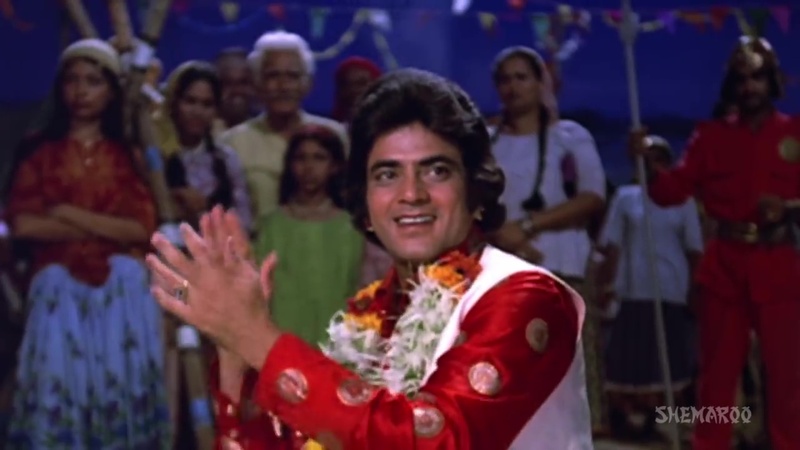 Apart from a spectacular display of acting – Shashi looks so joyous, and unperturbed yet loving, as that baby bawls its head off – this song is quite lovely and sets up the very caring single parent family. 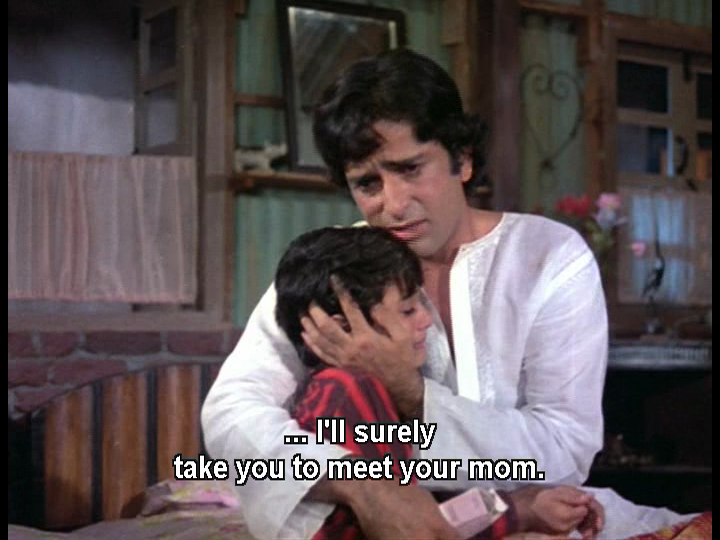 Prem and son Rahul (Master Titoo, one of the few dreaded child artistes I like) have a really lovely relationship. 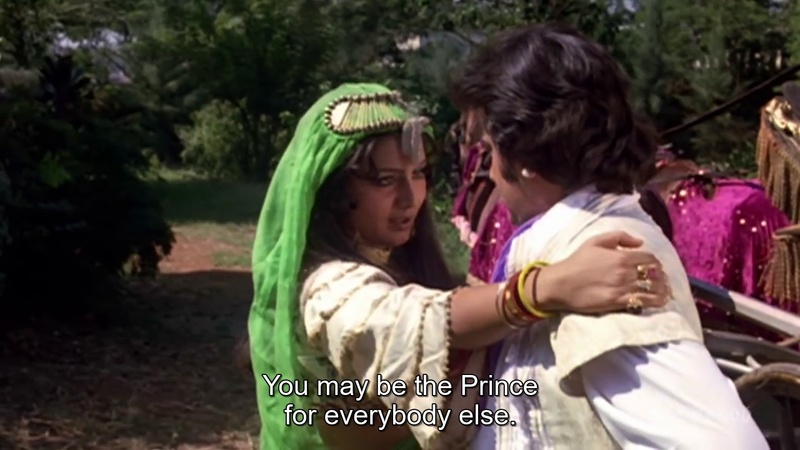 Prem felt no need to marry a substitute for Preeti just so there was a woman to look after them both. He embraced his parenting role and did the best he could. I do think there could be a case for child cruelty when we consider the poor kid’s wardrobe, which features purple and ruffles as well as some hideous short and vest ensembles, but apart from that Prem was a thoughtful and loving dad. Preeti crosses his path again, and has no idea that Rahul is her child, or that Prem had always loved her and never moved on. 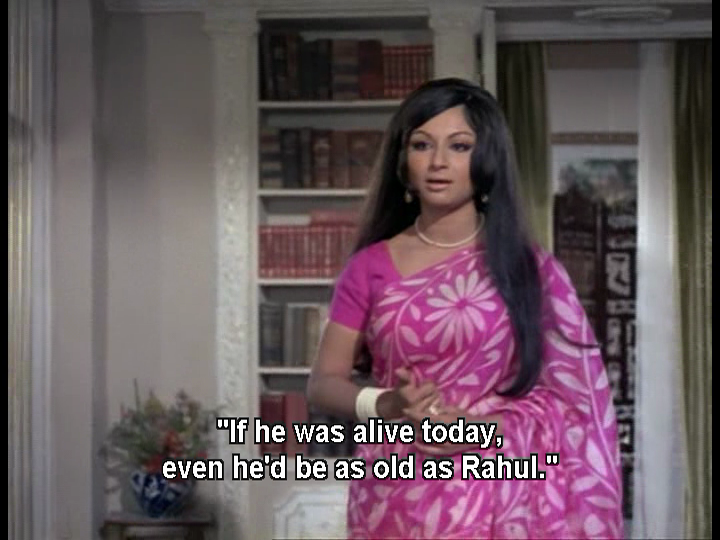 Prem thinks that Preeti jilted him to keep her luxe lifestyle and that she never cared about her child. 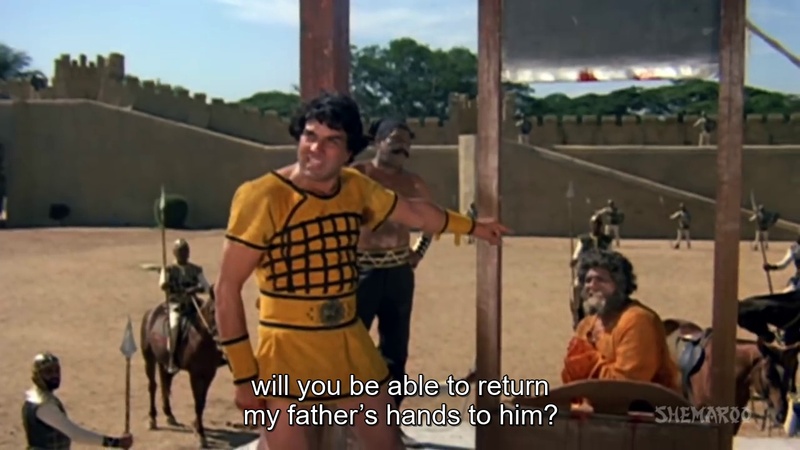 The ‘will she won’t she realise’ tension is heightened as her fiancé Amar (Shatrughan Sinha) takes over treatment of the crippled boy and so the families draw closer. 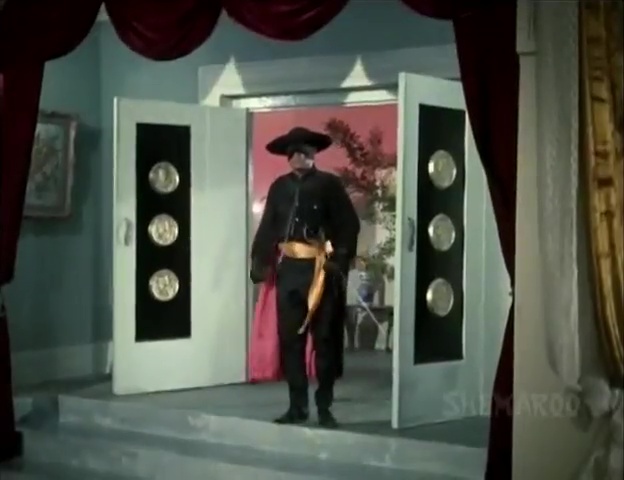 Shotgun’s entrance is so amazingly filmi, I can’t believe I almost always forget he is in the film until that moment! And his treatment of what he decides is a psychological rather than physical condition is unconventional to say the least. 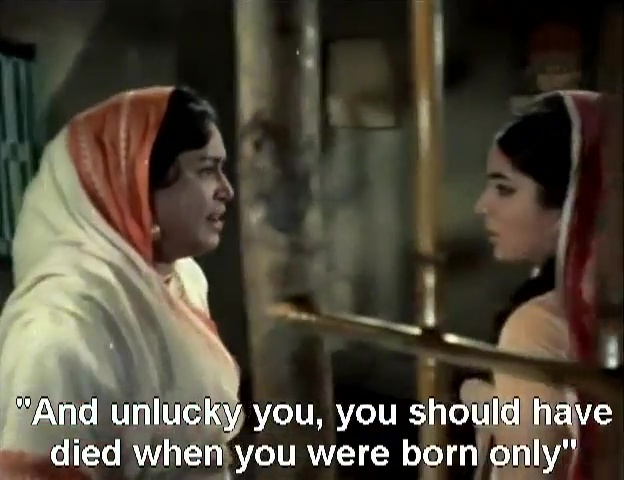 The contrast between Prem and Amar’s economic circumstances couldn’t be more pointed. 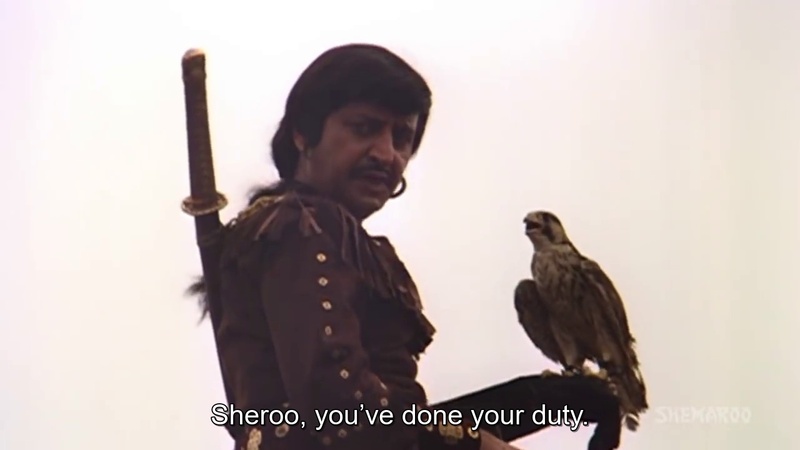 Despite the high level of coincidence and near revelation, the performances of Shashi and Sharmila along with Master Titoo made me care so much about what would become of them. 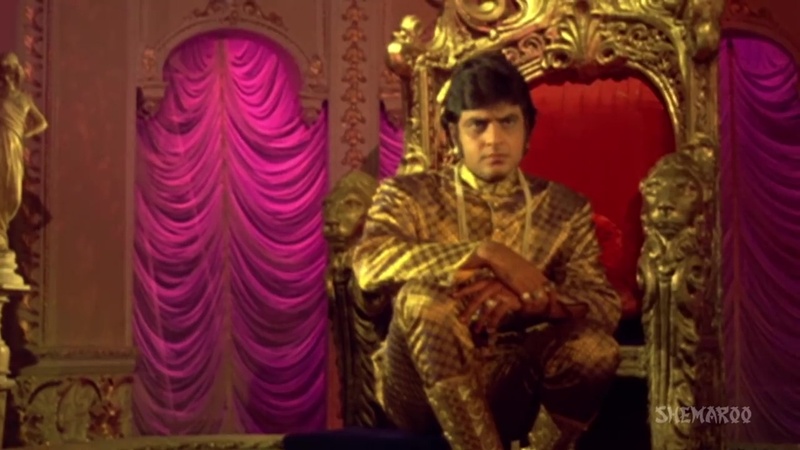 Shashi shows his pain and anger, but also his love for both Preeti and his boy. 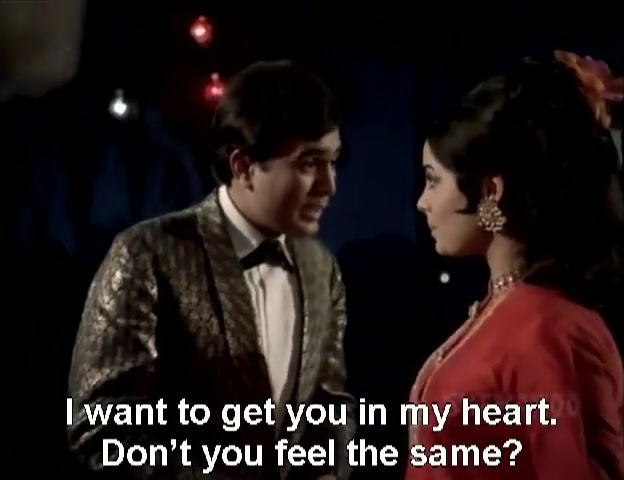 Sharmila is poised and beautiful, and she shows the uncertainty and hope when she sees her old flame. I also really like that the story is about a man who becomes a single dad while the woman moves on with her life and has no idea she has a living child. 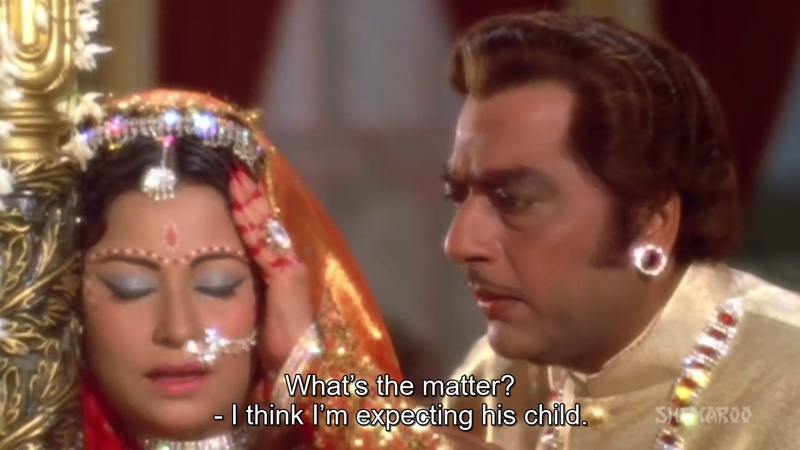 Preeti lives with her father, who of course knows about the child, but there are no great histrionics about her lost honour or anything. She has had a long engagement to Shotgun and her future seems assured. 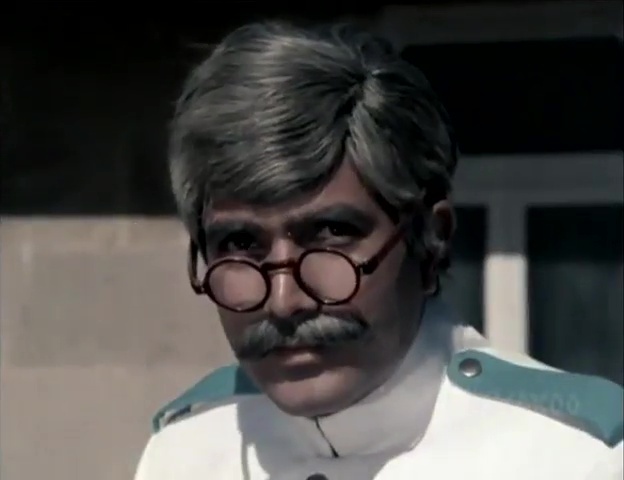 Om Prakash is shown as a lonely old man in his opulent home, and the development of his relationship with grandson Rahul is fun as they bring out each other’s competitive and playful traits. The winning enthusiasm of the child and his belief that his mother will come back for him one day makes his grandfather realise the gravity of his deception. There’s a lot of quiet heartache in amongst the more dramatic antics. 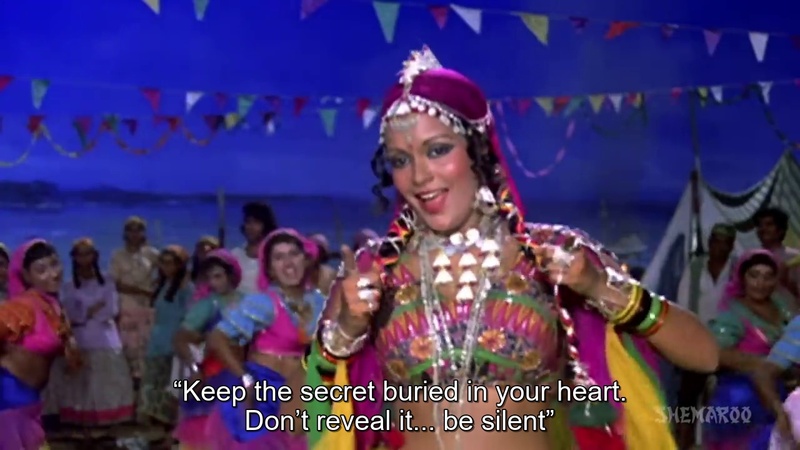 As for the who’s who and what of the story…There’s a Significant Song, a secret photo, Ticky (Amar’s sister, played by Ruhi) loves Prem, Prem loves Preeti, Preeti loves Prem (again), Amar loves Preeti, Rahul just wants everyone to be happy. We have the flaming roller skates of death, and then the happy roller skates of ever after. Almost everyone ends up on wheels at some stage, even the token thugs who hang around menacing young ladies. 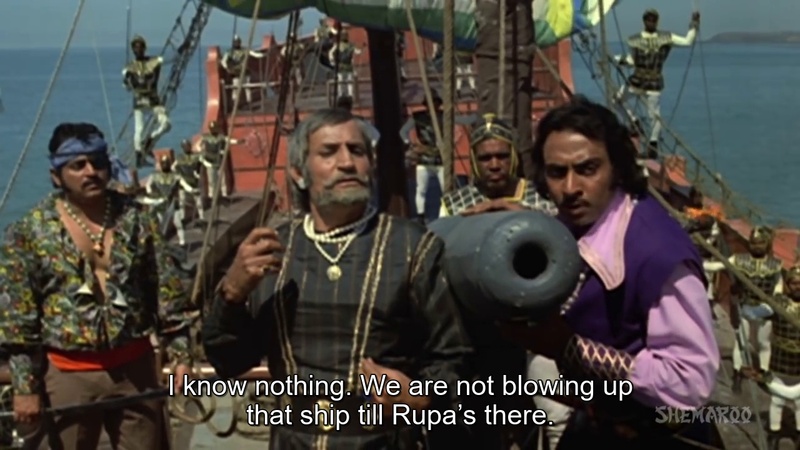 But the mad masala trappings never really get in the way of the story so I think Desai and Prayagraj must have had some robust conversations of their own to make sure they kept the balance right. The dialogue by K.B Pathak is marvellous, shadowed with meaning and laden with emotions. 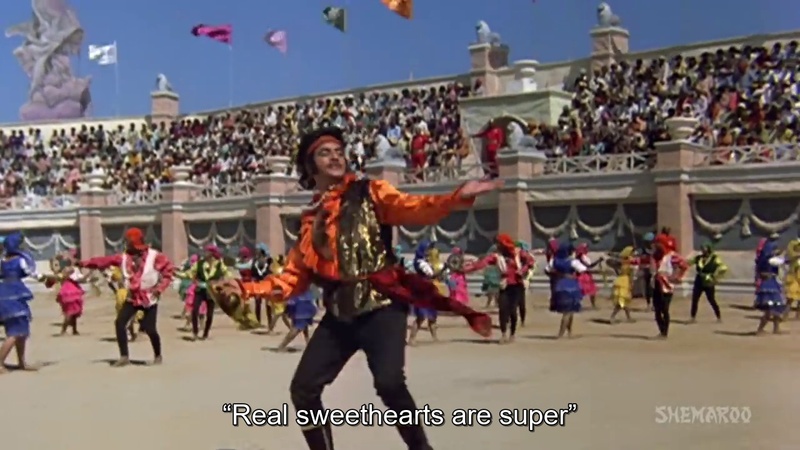 When Prem and Preeti meet again, and he sees her as the rich girl who has done well for herself, the polite bitterness is pitch perfect. 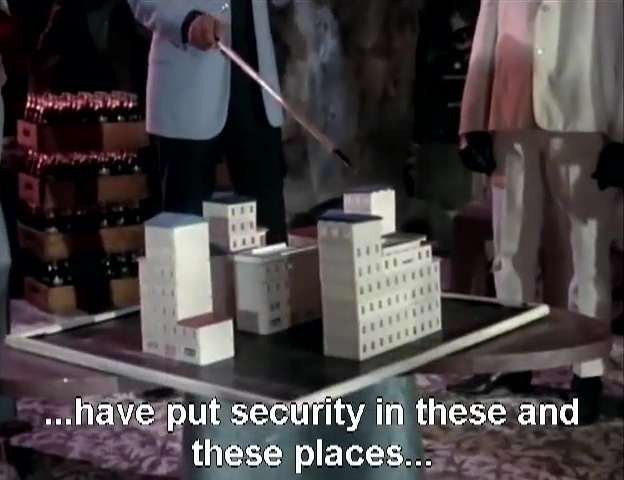 There is great use of eavesdropping, particularly in a ‘musical chairs’ scene that throws the protagonists into proximity and under stress where much is explained in small bites of barbed civility. 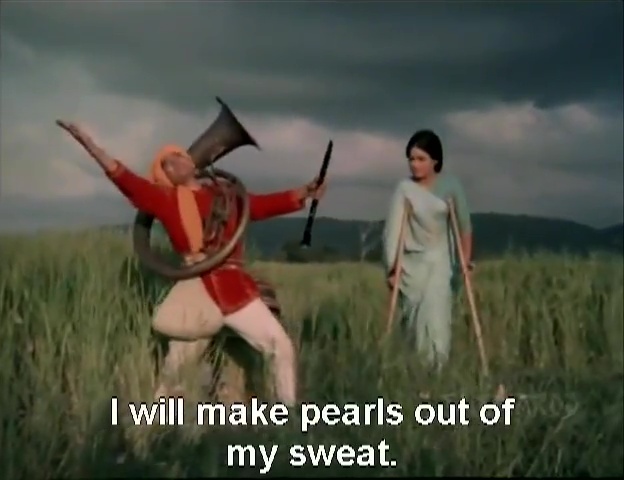 And then, I’m left with that image of Shashi on roller skates playing the accordion. 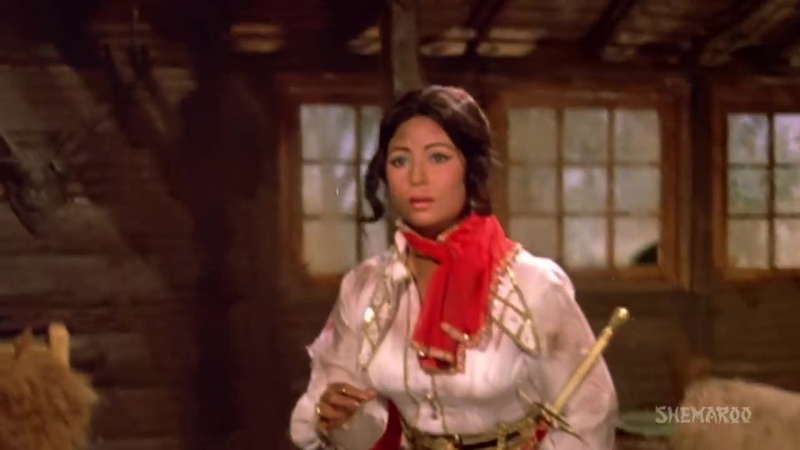 See this as a great example of Manmohan Desai’s masala excellence, for the beauty and appeal of Sharmila and Shashi, for the marvellous songs by R.D Burman and for the passionate and romantic love story that produced a happy family but didn’t feature a wedding. 5 stars!